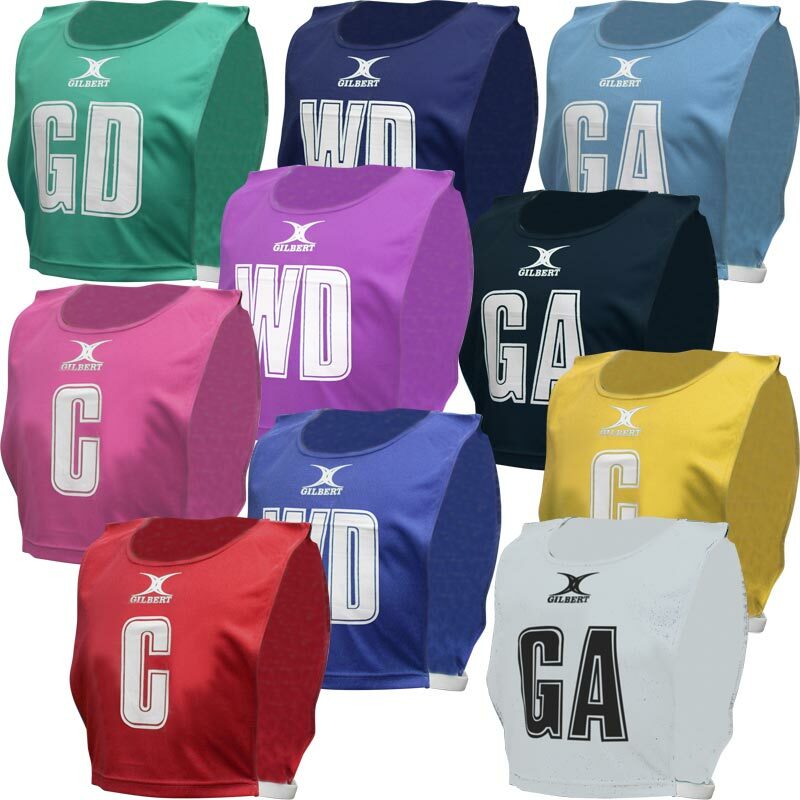 Lightweight Gilbert ® Polyester Netball Bibs are designed to regulation standard making them suitable for competitions at all levels. Sold per set of seven. Regulation size white position marking on front and rear of bibs. Available in Red, Amber, Black, Navy, Royal, Sky, Green, Pink and Purple. Sizes available are X/Small, Small, Medium and Large. Good quality, breathable fabric, better with the fixed elastic side pieces, much better than the velcro fastenings on our other bibs, don't deteriorate or tangle in the wash. Good customer service in replacing one bib which was the wrong size. Lovely, vibrant colours. They will be worn by a small remote primary school team in South Africa. They love them! Excellent quality and the service from Newitts was faultless as usual, great delivery time. Great bibs, good value for money. would buy again! 5 out of 5 Very Impressed! Package arrived when they said it would and had tracker on the hour it would be delivered specifically. Good high quality product at a reasonable price. Would use this company again. Great bibs and speedy delivery! We chose the pink and they're great quality and fit is fine. As described. Good quality and fast delivery. Great choice of colours for the bibs not seen many others offering purple and it's my teams colour! Arrived really quick. The bibs are lightweight so don't feel heavy and dont make you too hot when playing. Generous fit which is important that they don't look too tight on our large ladies and not too baggy on our small ladies.. Easy to wash and maintain. These bibs arrived quickly and look professional. The only issue is that the side strap quickly broke on some of them. The bibs are fine as practice bibs, the material is light weight and folds up smaller so fits into my bag better than some of the more substantial ones. The Gilbert netball bibs I purchased from Newitts are great, really good quality and our team loves the green. Delivery was prompt and purchasing easy, I would definitely recommend. These bibs are fantastic and are a fair size. They are shorter than expected but this makes no significant difference and we would definitely recommend. The staff at Newitts have been very helpful. Bibs are great - lovely colours, easy to order, quick delivery, easy to wash, easy to dry, they don't get too creased and they stretch. Very pleased with the quality of bibs and the size was true to the description. Colour was as seen on the page.